The latest data from the Internet Network Information Center (CNNIC) shows that China has more than 538 million Internet users, of which 388 million are mobile Internet users. 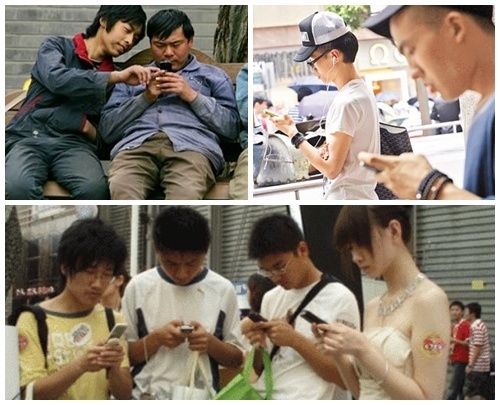 This is the first time that the number of mobile internet users has surpassed desktop users indicating that China's internet users are relying more and more to smartphone to get online. With more affordable and accessible mobile devices, smart phones are now the top choice for on line surfers. A bi-annual statistical report says that by the end of June, 2012, the number of websites had risen to 2.5 million. Meanwhile, the number of mobile internet users reached 388 million, accounting for 72.2% of total web users. The popular usage for mobile internet is mobile video, mobile searches, communication and e-commerce. The report also finds that on line video users are growing rapidly. Over 100 million people watch videos on their mobile phones, accounting for 27.7% of total mobile internet users. And more than 210 million people made purchases through e-commerce sites.